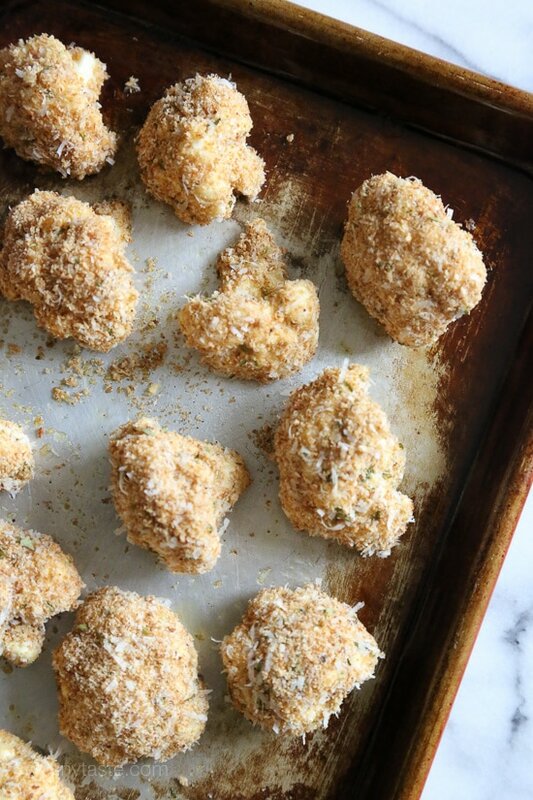 These delicious breaded cauliflower florets are baked in the oven with a parmesan-crumb crust, they remind me of my Moms fried cauliflower I used to love as a kid – without all the frying! Great for kids or adults. 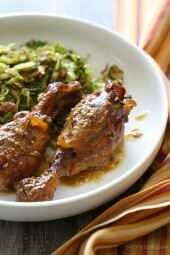 I would serve them as a side dish, or double the portion for a meatless main with a big salad on the side. These were SO good I could have easily eaten two servings! 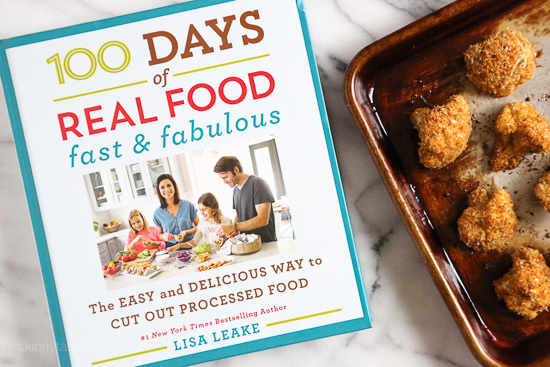 Lisa shares easy, family-friendly recipes in her new cookbook teaching people how to cut out processed foods in your daily life. Her book does not contain nutritional information for those counting calories, but she has recipes labeled by food allergies, and one of my favorite features in her book is her helpful lunch box ideas for kids and adults, a great resource for families looking to eliminate processed junk from your home. Isn’t it neccesary to boil them first? I made these tonight and love them!! I dipped them in both sweet Thai chili sauce and a BBQ sauce. They did quick too quickly (almost burned on the bottom when I turned them over at 10 minutes). I may turn the oven down to 400 next time. What is a great dipping sauce to go with these?? Gina – just wanted to share that over the past year I’ve made this recipe with at least 200 kids and it’s been a HUGE hit with all ages, including one boy who swore he didn’t like cauliflower! A lot of kids I work with have never tried this vegetable before, so this recipe is a great introduction for them. Thank you! That is awesome Kate! Thanks for sharing with me! Just made these for dinner. They are amazing! I had to substitute grated Parmesan cheese for the fresh and regular bread crumbs for whole wheat, but they were awesome. I will definitely make again. I think even the grandkids would love them. My husband didn’t even know it was cauliflower. Hi! Could you explain better how much is 11/4 cup breadcrumbs? I am not in the US and I am not sure is this is 3 cups or there is some sort of mistake 🙂 Thanks! Can you substitute Triscuts or corn meal for bread crumbs? Something without flour. Do you think there would be a version of this that could be prepped and frozen? Maybe par cooked? 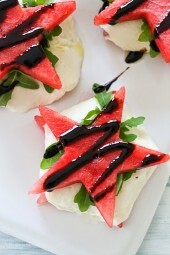 These would be a great replacement for my kids lunch but would love to prep ahead for when we’re in a rush for lunch. Looking for your thoughts, thanks! Hi Gina! Do you think these would work well if they were prepped ahead of time (i.e. dipped and coated), placed in tupperware, and then baked about two hours later? Not sure if the crumbs would get soggy but it might! I made these yesterday. My new favorite snack! I love cauliflower anyway but these were so tasty. I used Panko bread crumbs. The tip about using half of the crumb mixture at a time is spot on. Mine got clumpy fast. maybe divide in thirds or quarters. 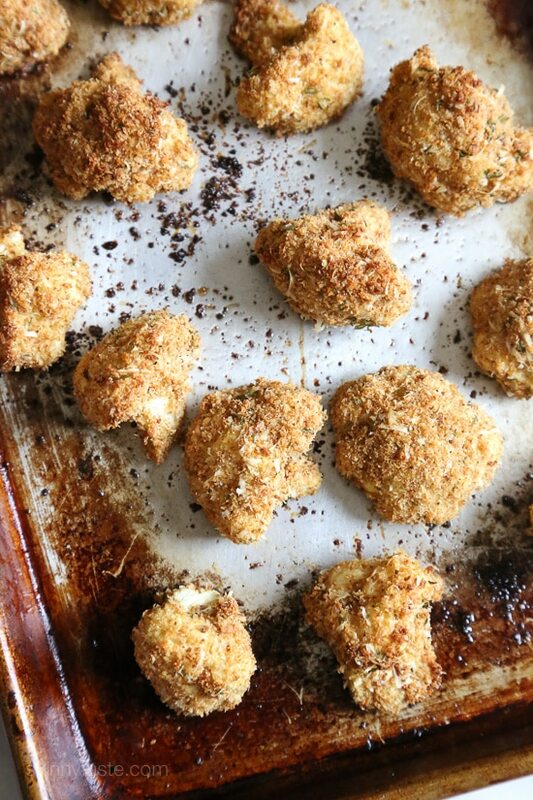 Would frozen cauliflower work too? Lazy me. Put the crumb mix in a brown bag and shook 4 at a time. They are in the oven. Can’t wait! Your cookbook is going on my Christmas wish list. And I know I’ll get it. My husband and I enjoy your recipes and can’t wait to try more of them. 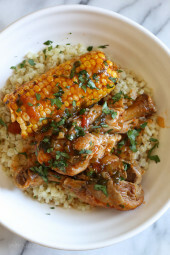 Your easy to make, delicious and health recipes make my life so much easier. Thank you! Thank you! Thank you! Keep up the good work. Is there an alternative for the parmesan cheese for Paleo? I’d be using almond flour instead of breadcrumbs. Could nutritional yeast work for flavor? If I don’t want to use eggs for the coating batter, is there something else I can use? silken tofu? These sound amazing! 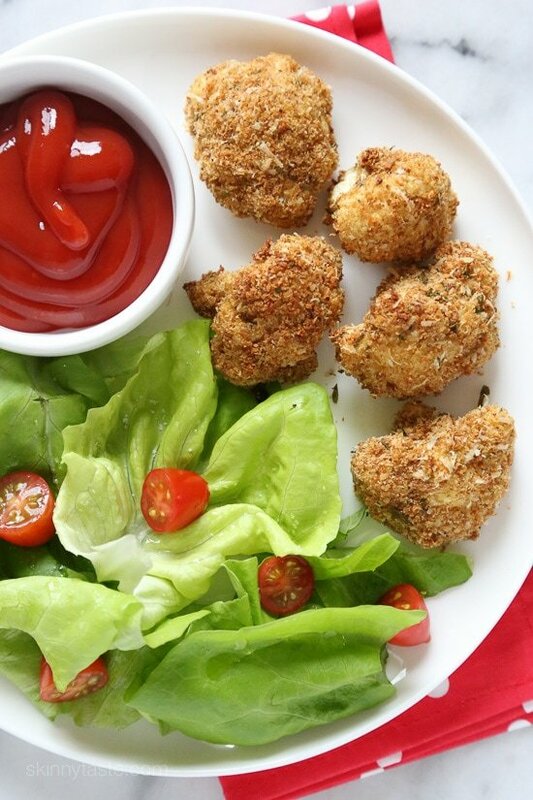 Such a clever idea with the cauliflower! I am going to have to definitely try this! My grandmother used to fry and bake it – OMG I loved eating those! BTW, just started WW last week and I just wanted to say how grateful I am for your blog and for your cookbooks. They are making the transition to a healthier lifestyle so much easier for me. Your recipes are out of this world! I have your Beef and Two-Bean Chili in the crockpot right now 🙂 Can’t wait to try it! Great, thank you so much! Let me know how you like the nuggets!